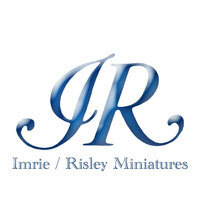 Imrie/Risley Miniatures is America's premiere manufacturer of military miniature figure kits. 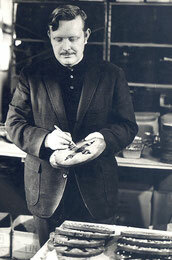 Established in 1963 when William Imrie invited Clyde Risley to join his company, first known as Helenic Miniatures and then Imrie Miniatures. I/R Miniatures has produced hundreds of museum quality metal 54 mm and 76 mm kits. From the American Revolution to World War II, the Middle Ages to the Napoleonic Wars, the American Civil War to Ancient Times, modeling enthusiasts will find an extensive catalog of figures to hold their interest. I/R Miniatures has set the standard for excellence in miniature military modeling for their exceptional accuracy and realistic rendering. When most manufacturers made stagnant poses I/R initiated dynamic poses to convey pragmatic battle scenes. A wonderful example of this is our American Revolutionary War Infantry figures, 53 poses to chose from, available in 9 different regiments. Our mounted figures are stunning in their fine detail, accurate proportions and vigorous poses. Each kit includes a color guide for easy reference. Conversionists appreciate the versatility of our kits, which allows the modeler to modify the poses of many of the figures we offer. Our figures have been featured in dioramas around the world in venues such as the Metropolitan Museum of Art, The Boston Fine Arts Museum, and Fort William Henry. I/R Miniatures has also partnered with the Franklin Mint creating a set of 13 colonial soldiers to celebrate the 1976 American Bicentennial. Made right here in America, we guarantee the historical accuracy of our figures. We are confident you will be delighted with your I/R figures, and look forward to seeing how you will bring them to life!